As a member of ICANN’s Security, Stability and Resiliency Team, his work focuses on trust-based cooperation with law enforcement and the operational security community. He also provides training to law enforcement agencies, ccTLD operators and other entities involved in the security or the operation of the Internet’s unique identifier systems. Previously, while being a member of ICANN’s Contractual Compliance department, he led the team that receives and processes all the complaints that ICANN receives regarding domain name registrars, and provided subject matter expertise to help create ICANN’s annual registry/registrar audit program. In the past he participated in Holland & Knight’s foreign attorneys program, was the head of Legal and Business Affairs at Sony Music for Colombia, Ecuador, Venezuela and Peru, and worked as Counsel at the Business Software Alliance’s law firm in Bogota, when he became pioneer in the region in software anti piracy, legal aspects related to information security and cyber crime. 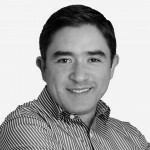 Carlos has published articles in Colombia, Venezuela, Argentina, Mexico, Spain and the United States. He’s been a lecturer or given conferences in the Americas, Europe and Asia.